Young Teacher Is Helping One Of His Primary School Students During Arts And Crafts Lesson. Royalty Free Fotografie A Reklamní Fotografie. Image 77181020. Reklamní fotografie - Young teacher is helping one of his primary school students during arts and crafts lesson. 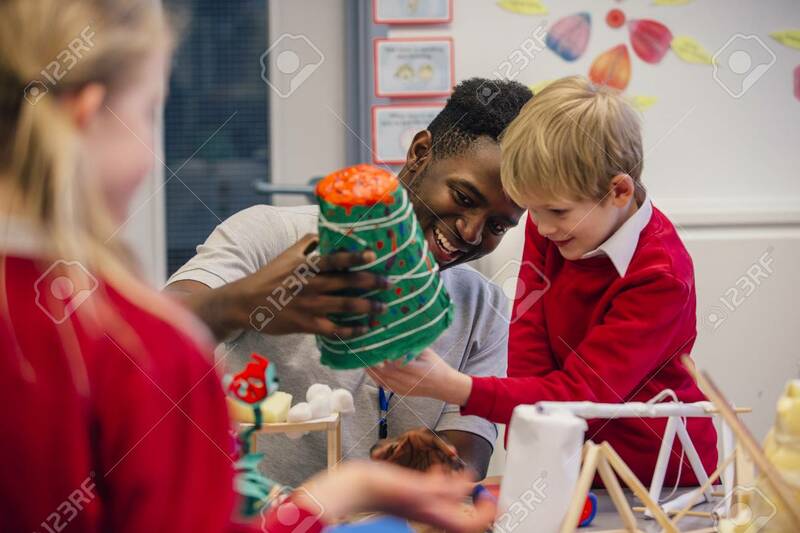 Young teacher is helping one of his primary school students during arts and crafts lesson.